We’re happy to announce the new release of Chronos eStockCard v3.3.2. You can now go to our download page to get the latest version. After we release v3.3.1, we have collected many comments from our customers / users. We love this kind of interactions and along the way, we’ve learned from the user point of view on how to make our eStockCard Inventory Software even better and user friendly. We appreciate all the feedback and support from you. Enhance the Stock Edit screen by disable all the quantity adjustment columns. Able to use custom information (customer and supplier) in document and screen:- SalesQuotation, Sales Order, Sales Picking, Packing, Shipping, Delivery Order, Invoice, Receive Payment, Sales Return, Cash Sales, Purchase Order, Goods Receiving, Purchase Bill, Purchase Payment and Goods Return. Able to display custom information (customer and supplier) in reports: Sales By Item Details, Sales Invoice Summary, Sales Delivery Order Summary, Sales Order Summary, Sales Picking Summary, Sales Picking Details, Sales Packing Summary, Sales Picking Summary, Purchase Order Summary, Good Receiving Summary, Purchase Bill Summary, Purchase Bill Details, Supplier Payment Summary, Supplier Payment Details and Good Return Summary. Add ‘Diagnose Mode’. It will write log file when enabled in Settings (For eStockCard v3 Mobile. Add ability to change settings when program is running. Previously only can edit url and cannot change without manually delete config file (For eStockCard v3 Mobile). What are the bugs that we have fixed? Fixed Duplicate Customer/Supplier when enter existing code in Add Info screen. Fixed Cycle Count transaction to be inserted into Good Movement Details report based on the Operation Setting. Fixed Confirm Cash Sales failed when it is NO RULE item. Fixed change the item description at Stock Edit screen. Fixed time out issue for eStockCard v3 Mobile. As usual, if you encounter any problem, feel free to email back to us. Thank you. 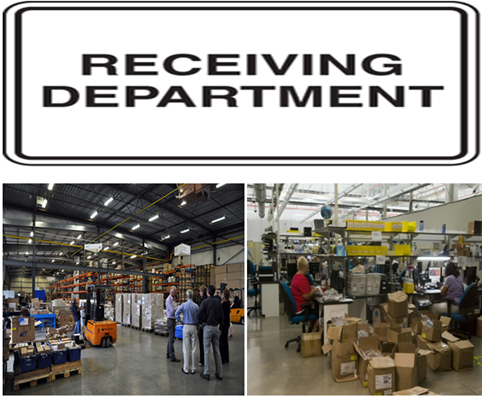 Receiving operation includes the physical unloading of incoming goods, checking, recording of receipts, and deciding where the received goods are to be put away in the warehouse. It also include activities such as unpacking and repackaging, quality control checks and temporary quarantine storage for goods waiting clearance by quality control. It can be one of the most complicated functions in warehouse processes. Errors in receiving operations may result many ripple effects. Production department may use the wrong items or insufficient of quantities. Purchasing department will encounter what they purchased are not what they received. Accounting department may overpay for any shortfall quantity. 1. Are receiving documents (Purchase Order or Requisition, Delivery Order, Packing Lists) available at the time when shipments are received? 2. Are standard operating procedures or working instructions available when inspections are performed and checked? 3. Are items checked for descriptions, quantity and condition at the arrival of shipment and before accepting the bill of lading and completing the receiving report? 4. Are vendor compliance standards and procedures being followed during receiving? 5. Any non-conformance issue being recorded and update into vendor tracking and history records? 6. Are receiving reports and documents being processed properly for data entry? 7. Are unprocessed or backlog items being recorded and monitored? 8. Are materials handling equipments in good working condition? 9. Are receiving space, dock, and pallets for receipts sufficient and in order? 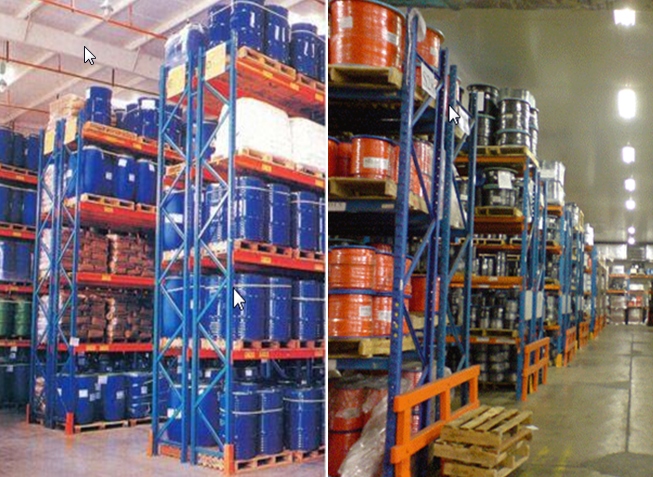 There are many ways to take advantage of a warehouses space in order to utilize it better. You can use inventory software tools to increase productivity, while improving overall efficiency. When you end up with more space, you get more value out of your existing assets and can increase productivity as well. The main methods of achieving more space can be defined largely by utilizing what you already have, and making the best of the space currently existing. Pack everything you currently have stored in a more organized and concrete fashion, and only use space that is absolutely needed for these items. 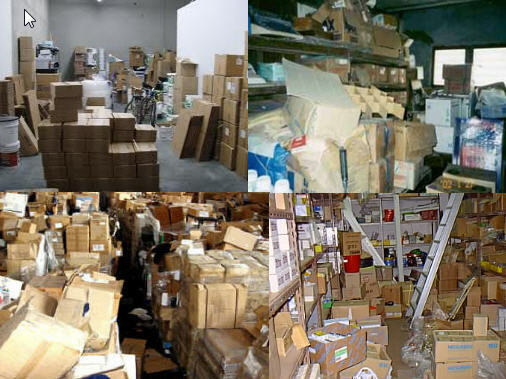 Assess everything already placed in the warehouse carefully and reorganize each item based on type and use so that they can be found and accessed. Maintain the items you have in the warehouse logically and neatly so everything is placed in a way that lessens obstacles people may travel through. Convert existing space into usable locations that inventory can be placed by marking off these areas for later use when needed. Alter any parts of the building that can be easily changed such as shelving units and inventory racks in a way that fully maximizes their individual placement. Remove unneeded items from the building to increase the overall space available, and to more logically organize everything inside it. Work with a qualified contractor that specializes in space management for warehouses to fully understand how to change the layout in a way that increases space. Design the interior with the help of inventory software to find space that can be completely optimized to the benefit of the objectives in mind. Use an inventory management system to help better organize the layout of the warehouse, and move unneeded items to areas of the building that rarely get used. 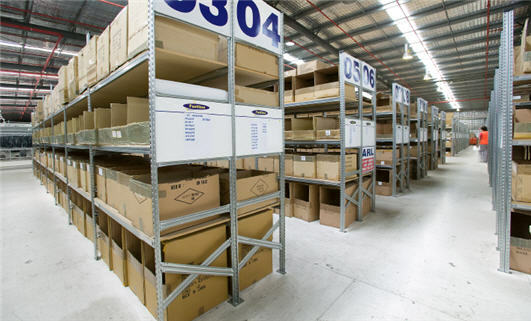 Change the placement of key components located in the warehouse such as racking units and storage shelves to a location that makes full use of their storage capabilities. Each method listed can be altered or customized to your needs and changed accordingly based on how you want your infrastructure organized and maintained. If you maximize the space in your buildings with inventory software tools along with natural logic, you end up with a greater investment, a more efficient workplace and overall ability to get things done. Why You Need Warehouse Operation Audit? Are you spending too much on your warehouse operations in terms of dollar and labor? A critical first step for improving productivity and reducing costs is to conducting warehouse operation audits. Such an audit takes a quantitative and qualitative look at your warehouse operation’s productivity and accuracy, and does so in a systematic way. A good operations audit enables you to measure warehouse productivity and other important metrics to identify patterns and trends. It also allows you to complete both internal and external comparisons. Once you gather the data and make comparisons, you’ll be able to draft an action plan for improvement. The audit should consist of a method for evaluating your own operation against a set of internal expectations, as well as external, industry-accepted, best practices and averages Remember, you can’t improve something if you don’t measure it. Using a list of predetermined checklists – for each area of the warehouse in your organization. Focus on labor, facilities, systems and workflow procedures. By analyzing your operation against your existing expectations, you can develop a basis of measurement for future actions. Chronos eStockCard Inventory Management Software has been successfully implemented in EMS industries (Electronic Manufacturing Services) to assist in monitoring their manufacturing assets such as Test Fixtures, Test Jigs, ICT Testers, Testing Equipments and Facilities, Proprietary Tools and many more. There are approximately 500+ assets need to be monitored. Fail to calibrate certain equipments. Ineffective system to monitor all the assets (Using spreadsheet). IN and OUT operation can help to record detailed movements of any single item – resolve where, when, who within department or cross departments. For any item which is NOT suitable to be used in production (due for calibration, repair, out of spec), LOCK operation to prevent this accidentally being released. For any calibrated item, due date can be pre-defined and monitor through alert system. Powerful reporting which is capable to provide comprehensive, timely information of all assets. Chronos eStockCard is a powerful Inventory Tracking Software. 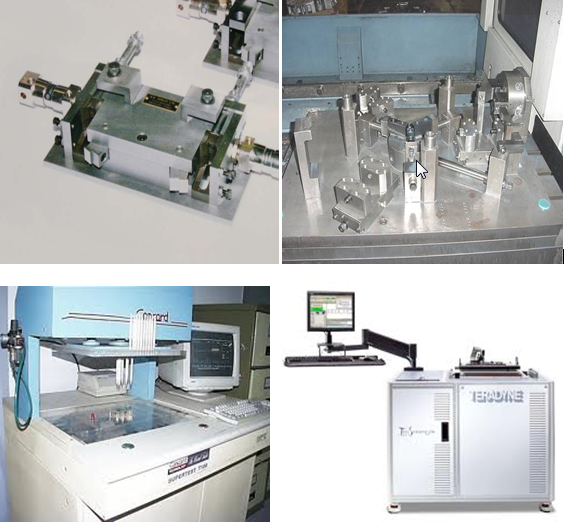 It equips with detail Product Serialized Tracking capability. Upon goods received from supplier, eStockCard assign an unique Serial No. for it, and system starts to track its movements, usage, transactions etc using this unique Serial No. Apart from Inventory Tracking purpose, eStockCard allows user to print barcode label based on this unique Serial No. information and stick it on to the product. Store hand can scan this barcode label during picking and delivery. It makes inventory verification and control simple and easier for store hand. This will eliminate operation errors drastically. Enhance the setting for Picking List screen by prompt and block the users from confirming the transaction if the quantity are not fully picked. Fix error happen when Select Location in IN screen after certain period of time. 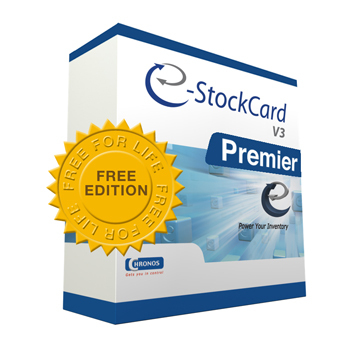 Enhance the installation process of eStockCard Mobile in Mobile Center. You can go to our download page here to download the latest version Chronos eStockCard v3.3.1. To further enhance on our home page and make it more user friendly, we have listed all the useful features that are available in the Chronos eStockCard Inventory Software. Now we have added the hyperlink for each of the features which will directly link to our eStockCard Knowledgebase in order to explain further on how this feature works. We hope it will be helpful for you.